An important question that many twenty-something find themselves asking is ‘Who Am I?’ It’s usually asked during a stage in their lives when things are changing- when there’s a full blown identity crisis going on. They’re asking the question ‘Who Am I? – because they genuinely don’t know anymore. Perhaps a career that they have invested 5 or 6 years in wasn’t what was expected or a relationship has ended but the real crux of the issue is that the life that they had expected to be living just hasn’t materialised. On top of that, they’re realising that the life they’re currently living just doesn’t fit them anymore! Where do you go from there?! Who you are is who you have been – up until this moment. It is our choices, how we respond to our environment and the goals we set for ourselves that ultimately shapes our lives. Once the deck has been cut, you’re the one dealing the hand. It’s all up to you! As I said, a lot of my clients start by asking the question ‘Who Am I? and searching for the answer to that question. Once you find it, the next question to ask is ‘Who do I need to be?’ I guarantee that you’ll know the answer! I’d love to hear your feedback and who you’re choosing to be? Don’t forget- Registration for my 30 day programme ‘Be your own Fairy Godmother’ opens tomorrow! This entry was posted in Progress and tagged career coach, dreams, happy in your twenties, how do i know what i want?, life coach ireland, life experience, LIFE VISION, positive thinking, quarter life crisis, WHERE AM I GOING, who am I? on July 30, 2013 by admin. I’ve been spending the past week thinking about upgrading my life vision! You see, a few years ago, I had a dream of how I wanted my life to look in the future – this dream was big, bold, outrageous and very happy!! I would own a house, I would have an amazing partner who loved and respected me, I’d have a dog, I’d be a mama, I’d would be doing work that was fun, something I loved doing, I would have freedom and flexibility and of course, I would have money in the bank! At the time of dreaming this dream, I was jobless with zero prospects because I had just realised I hated my chosen profession, I was completely broke and had recently been dumped via text message! But I held this vision of what I wanted in my mind and worked towards it over the past 6 years. In recent weeks I’ve realised that I need to upgrade my vision! Why? Because I’m already living my dream, I’m living the big, bold and outrageous life that the Paula from 6 years ago was dreaming about! The Paula from today has learnt a lot of lessons in the past 6 years- most importantly, whatever the mind can conceive, it can achieve. So, over the next few weeks I’ll be putting together my bigger vision and you know what, I’m really excited about it! My life will be whatever I make it! So how about you! 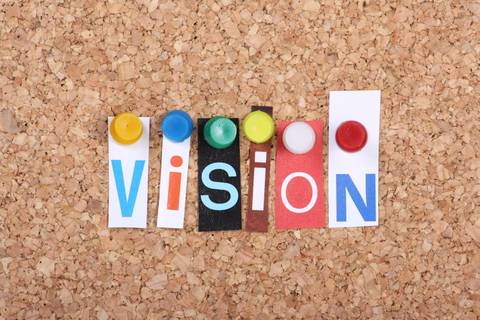 Do you have a vision for your life? A vision is how you want your life to look in a few* years time. I’m talking 5, 10, 20 years time! You might be gasping thinking ‘I haven’t a clue where I want to be next week, let alone in 20 years time! !’ But when it comes to a life vision, you do need to go out that far because this is where you want to end up. If you don’t have any idea of how you want your life to look in 10, 15, 20 years time then how do you know if every day you’re moving further away or closer to your vision? It’s like the analogy of driving around in a car without knowing where you’re going. We always get into the car with our destination in mind, or at least the general direction that we want to go in. This is what we’re trying to achieve with a life vision – a destination or direction. If you don’t know where you’re going and you don’t know what success looks like, then how do you know when you get there? What tends to happen is that we get caught up in our late teens and early twenties. We start to do things out of necessity, we do what everyone else is doing and what is expected of us! We go to college or get a job, work hard, progress in our career, meet a partner, save money, maybe talk about getting married, try to get a deposit together for a house. We’re just getting on with it though with our heads down. We’re like busy worker bees, work, work, work, busy, busy, busy and we don’t look up, we just keep going. This was me; I was busy, busy, busy and trying to ignore the fact that I was so unhappy. I thought it was normal to be unhappy in your twenties, well normal for me anyway! But the problem was I had no vision, no direction. I was still just going with the flow and I wasn’t self-directing my life based on what I wanted. What having a life vision will do for you is to give you some focus and direction as well as helping you gain clarity on whether the decision that you’re making will take you closer to your vision or further away. It’s not very often that we spend time on ourselves. We tend to spend so much time living that we don’t actually make the time to raise our head above the wall and say; ‘Ok this is the big picture. This is how I want my life to look.’ But I want you to do exactly that! Now is your time! Put the brakes on for a few hours, take a step out of the madness and ask yourself ‘How do I want my life to look in 20 years time?’ ‘What will I need to do to make that happen?’ You see, the time is going to pass anyway so you might as well point yourself in a direction that you’ll be happy with! Think about it over the next few days and jot down any ideas that come to mind! It has to make you think ‘Wow, I’d be floating on air if I had a life like that!’ Be big bold and outrageous. People over-estimate what they can accomplish in a year but they wildly, wildly under-estimate what they can accomplish in a 5 years or ten years! You need to be clear on what you want your life to look like by when? What does success look like to you? It’s a very simple concept but an incredibly powerful motivating tool! Think BIG! I’ve out together a very special programme ‘The Fairy Godmother Programme’– it’s a 30 day group course that walks you through the steps I took to overhaul my life. To take me from jobless, dumped and heartbroken, broke and miserable to where I am now! It’s not about good luck and bad luck, it’s about getting clear on what you want and then showing up for yourself on a daily basis to make it happen! There is no magic wand that will make it happen for you- you need to become your own Fairy Godmother and do it for yourself! I can show you how! Right now, I have an early bird offer of ONLY €99 for The Fairy Godmother programme! There are only a few places left at this price so decide now! Check it out here and sign up now! I hope you enjoyed this issue of Progress! If you have a vision for how you want your life to look, then please share it on the facebook page! I can’t wait to hear about it! Think about where you’re going! This entry was posted in Progress and tagged LIFE VISION, WHERE AM I GOING on July 16, 2013 by admin. When are they going to catch you out? It happened again! A total fluke! You got through the exam/project/presentation and you looked like you knew what you were doing. You fooled everyone again!!!!! But you don’t feel happy about it, it’s not something that you’re proud of. In fact, you get anxious every time you think about it. ‘How much longer can I get away with this?’ you think to yourself. ‘Soon, they’re going to catch me out and then they’ll know I’m not good enough’. ‘They’ll know I don’t belong here’. If you can relate to this, then you are far from alone in feeling this way. 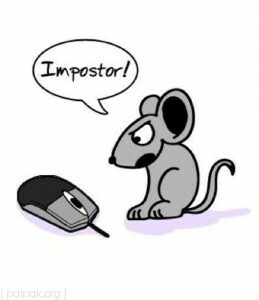 This way of thinking is so common that it even has a name –it’s called Imposter Syndrome. 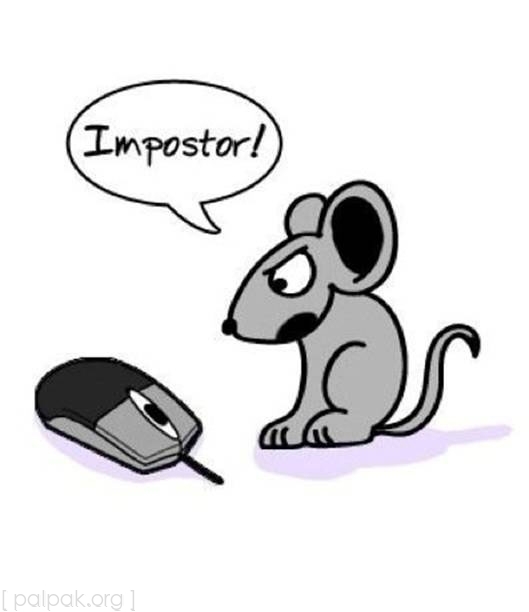 Impostor syndrome describes a situation where someone feels like an imposter or fraud because they think that their accomplishments, skills and achievements are nowhere near as good as those of the people around them. But usually, their accomplishments are just as good if not better, and the individual is being needlessly insecure. 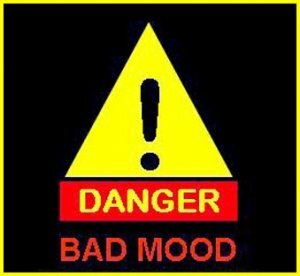 The interesting thing is that the people who are most likely to experience these feelings tend to be high achievers and highly successful people! 1. With everything, being aware of it is the first step! 2. When you are speaking or writing about your work experience or skills, do not use words like ‘only’ and ‘just’! Saying things like ‘I’m just the junior team member’ or ‘I only have 2 years experience ‘ is the same as you saying, I don’t feel good about me, my experience or what I have to offer in this role. 3. If you are invited to do something (speak, apply for a job, etc), remember that the person who has invited you would not have done so if she/he thought you weren’t good enough or up to the task! 4. Do not attribute to luck or chance or ‘jamminess’ what is the result of your preparation, work and being open to opportunity. 5. Keep a record of your accomplishments, skills, projects, compliments etc and review it! This is also known as a ‘Success Bank’. You add as many successes to it as you can and then, when you’re feeling a bit low or not good enough, you can go to your success bank and check the balance! I hope you enjoyed this issue of Progress! I’d love it if you shared your thoughts on this topic on the facebook page! Honestly, please share your story if you can relate to this article as the more we realise that it’s a common experience for many people, the easier it becomes to talk about and overcome! This entry was posted in Progress and tagged imposter syndrome on July 7, 2013 by admin. Do you hold yourself back? Do you keep your hand down and mouth shut when there’s an urge inside you to step out and to speak up? If you do, you’re not alone! Many of us hold ourselves back on a regular basis and a lot of the time, the reason for doing so is because of the way that we see ourselves also known as our self-image. Your self-image is the way you see yourself in your imagination. The reason your self-image is so powerful is because your behavior will almost never deviate from this internal map. It acts as a self-fulfilling prophecy, telling you how to behave or how to act consistently with the kind of person you think you are. I had a client recently who was upset that once again, she was overlooked in a meeting and wasn’t asked to contribute. She had lots of ideas and thought that her ideas were much better than some that were presented so of course she was pissed off! ‘This always happens to me’ was a phrase she used over and again. We quickly discovered that is that she has an image of herself as someone who would never raise her voice over others to be heard, she considered it to be rude and she wasn’t a rude person. But the fact was that no one at that meeting was personally asked to contribute. It was put to the table and the rest of the attendees got involved, gave suggestions and passionately talked over each other! My client felt hard done by because she wasn’t asked. Her self-image of ‘not being a rude person’ held her back. We had to work together to help her overcome that, to be confident and be able to find a way to contribute that would be comfortable to her. She decided that she would raise her hand, it was simple but the effect was powerful. It became her ‘thing’. It got people’s attention and when she spoke, everyone was respectful and listened to her. Her confidence has grown since then and she’s actually encouraged the entire team to follow her example and listen to each other. We didn’t change her or turn her into someone she wasn’t, we worked on what worked for her, built her confidence in her ideas and abilities and we also worked on personal responsibility – that it was her responsibility to make sure she was heard. 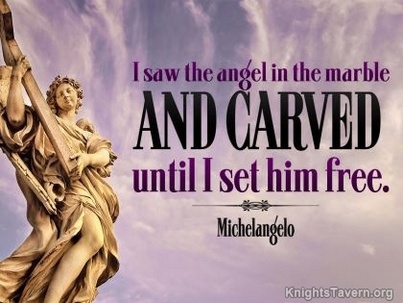 There is a story that when Michelangelo was asked how he carved such beautiful angels, he replied, ‘I see the angel in the stone, and I chip away at everything around it’. Changing your self-image is a lot like that! I don’t want you to try and be someone else, I want you to recognise the magnificence of who you really are, what you have to offer and learn to show that to the world with confidence and a smile! This is one of my all-time favourite poems and I wanted to share it with you this week. Just imagine if we all lived our lives by the message in this? What a difference it would make to the world! You are a child of the World. We were born to manifest the glory of the World that is within us. I hope you enjoyed this weeks issue of Progress! As always, get in touch, post, comment, share and let me know what you think! This entry was posted in Progress on July 4, 2013 by admin.